Where is there room to develop a new app in the mobile market? What used to be a wide-open field in the late 1990s and early 2000s is now dominated by a band of 800-pound gorillas. You have an app. It’s brilliant, useful, and user-friendly — everything your target audience needs. But the market’s crowded. What used to be a wide-open field in the late 1990s and early 2000s is now dominated by a band of 800-pound gorillas. What little space those heavyweights haven’t filled is governed by fierce, cutthroat competition. How can you break into the market without going broke or being swallowed by a software giant? According to a study by Flurry Analytics, the explosive growth in mobile apps since the advent of the iPhone in 2007 has decreased significantly. In January 2017, the mobile analytics company reported that mobile app usage increased 11 per cent in 2016, far more modest than in previous years: 58 per cent in 2015, 76 per cent in 2014, and 103 per cent in 2013. Not only has the overall market matured, but market niches have begun to acquire new customers by poaching their rivals’ customer bases. In other words, Tech Firm A won’t grow its customer base without taking customers away from Tech Firms B, C, and D.
You’ve seen it with cell phone companies. Now it’s happening to mobile app providers. In response to the Flurry Analytics study, TechCrunch points out that “apps have maxed out on the finite resource that is users’ time.” No one has more than 24 hours in a single day. Once a person’s day is full, something has to give way to make room for something else. If a busy person has a handful of apps he uses throughout the day — and those apps adequately satisfy his needs — then he’s not going to spend time looking for something else that might work just as well. Nowhere has market maturity been so evident as social media. Remember MySpace? Facebook, Snapchat, Instagram, Twitter, LinkedIn, and other well-known brands have saturated the social-media market, each carving out a niche for itself in the social fabric of daily life for hundreds of millions of people. Competitors such as Google+ haven’t fared well because they failed to improve significantly upon the existing services provided by other platforms. Lack of recognition: Everyone knows the social-media giants. Finding your place among them will consume considerable resources for marketing and advertising. Lack of investment: Venture capitalists and angel investors won’t sink their money into something that doesn’t have a promising track record or a decent chance of success. Let’s say that your app has acquired a small, but steadily growing, cohort of happy users who abandon the big brands for your upstart platform. Where lack of recognition once posed a problem, recognition may now pose a bigger problem. Catch the attention of Twitter, Facebook, Google, or other digital giants and acquisition may well follow. While acquisition likely means a financial boost for you, it probably also means saying goodbye to your app as you know it — the giants have a history of phasing out the apps they purchase. These companies gain huge market share through acquisitions because users generally stick with their apps regardless of who owns them. 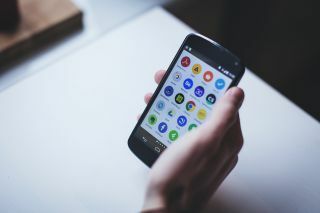 Unless your company has deep pockets to avoid being acquired by a big tech company, you may want to design any new mobile app with an eye to becoming an acquisition and being absorbed by your competition. However, being acquired is a dream compared to the alternative. The bigger fear is that your app gets noticed by the big guys when you’re too small for them to consider buying. In this case, they’ll simply update their own platforms, become your competition, and wait until you can’t keep up. One reason why Facebook, Twitter, and others dominate the social-media market is that other applications failed at the basic service level. If your mobile app is going to succeed, then not only must it not fail, but it must also rise above what the “big dogs” can do. In 2013, Visually reported a graphic summary of the top 10 social media sites that failed. The failure to provide fast, robust, user-friendly service shines through as a common theme for those sites. Former news aggregator site, Digg, didn’t stand a chance in the market once Facebook and Twitter took notice of it’s awesome article-sharing features. Any mobile app that’s had a chance of succeeding in today’s saturated market must not only be capable of running with the big dogs but outperforming them too without making life more difficult for the target audience. Launching a new mobile app and nurturing it to rousing success is possible. First, know where your market opportunities lie. In August 2016, Enterprise Mobility Exchange predicted that the enterprise application market would grow to a value of $287.7 billion by 2024. That’s almost double the market value of its $150-billion worth in 2015. Remember that tale about your toaster trading jokes with your shower? That will become a reality sooner rather than later. Enterprise Mobility Exchange predicts that the largest growth of IoT at the consumer level will occur in North America and Asia Pacific, together comprising more than half of the market share of 2024. That prediction assumes that demand exists and will grow, not that mobile apps will become available to meet that demand. Already ubiquitous through such digital giants as Microsoft and Adobe, cloud computing also offers significant opportunity for enterprise mobility, particularly regarding technology management and information security. The market is enormous and the rewards substantial. A mobile app that solves problems, makes life or business easier, is simple to use, and adds value to the user experience stands a chance of commercial success.